Maggie (on left) and the 8:30 crew on any given morning! I’m not really a gym person. I’ve gone through periods in my life where I exercised regularly, running marathons and taking spin classes, but gym culture has always intimidated me. That said, in college, I took a weight lifting class that taught me that I love lifting heavy stuff. Later, as I got older and experienced back and neck problems, I learned that a regular weight training routine is really the only thing that keeps my spine strong and healthy. But it’s hard to stay motivated on your own, to avoid injury and know if you’re doing the right things in the right ways. Then about nine years ago, my friend Kate convinced me to go to ASF to work out with her friend and trainer, Krista. With years of personal experience in both training AND rehabilitating back problems of her own, Krista was able to assess where we were and make a strategy to get us strong and healthy. In those early days, Kate had just had a baby and I was recovering from a herniated disc in my lower back, which I was terrified of re-injuring. Krista gave us the confidence to lift safely, so we could strengthen our cores and get stronger all over. Plus, it was fun. And it’s still fun. Nowadays, Krista trains me and Kate on Mondays, and Brendan trains me and Kate’s husband on Wednesdays. The workouts are killer, and I love knowing that I’ll see my training partners plus all the great people who are all there working hard every week. When you walk in the door, everyone knows your name, even though it’s not a bar. There’s always great music, or people teasing each other over who picked the “bad” music. When you’re sweating and shaking and about to drop plank, someone hollers encouragement from across the room. When you have to miss a session, people ask where you were. I think that’s really the reason I’ve stuck with ASF for so many years, and the reason I feel so comfortable there. 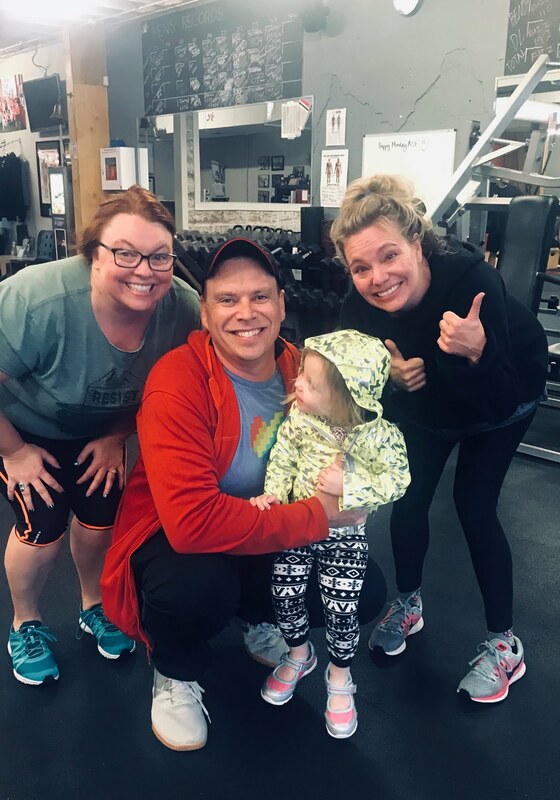 ASF is a community of all different kinds of people, from swole college athletes and buff actors training for film roles to old people and young people and big dorks like me — everyone is working from wherever they are, busting their butts toward their own goals. I feel really lucky to be part of a gym that accepts everyone and encourages us all to keep going to be our best selves.